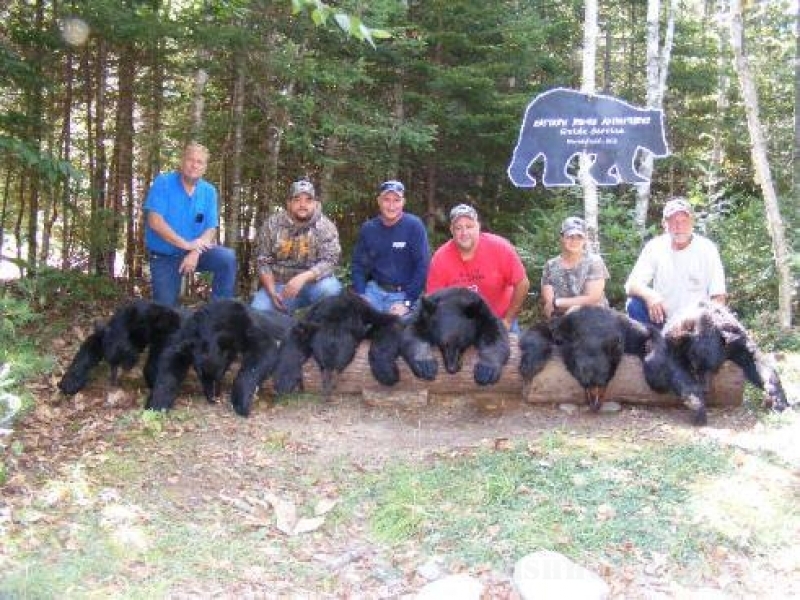 them fully enjoy their time in the Maine woods. Book your hunt with us, "You won't be disappointed." 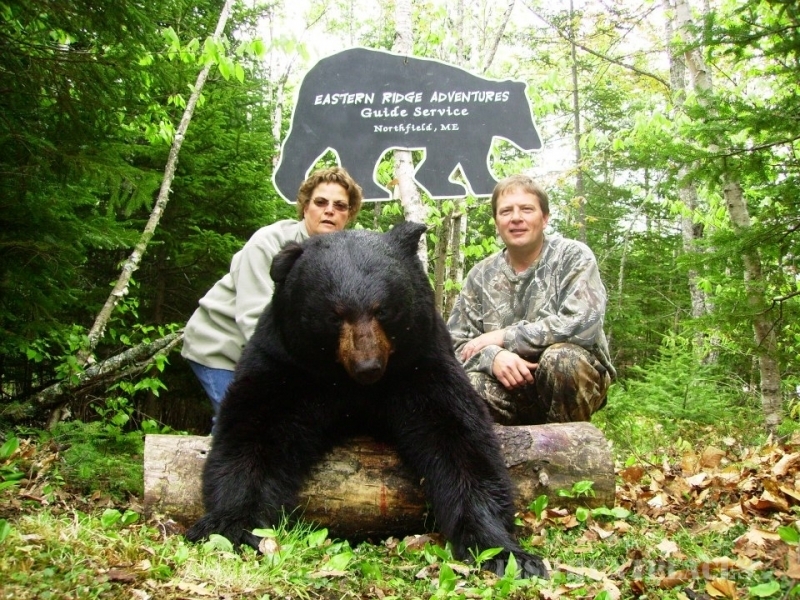 Our bear camp is located in Eastern Maine, known for our wild blueberries, where the bear population is thriving. 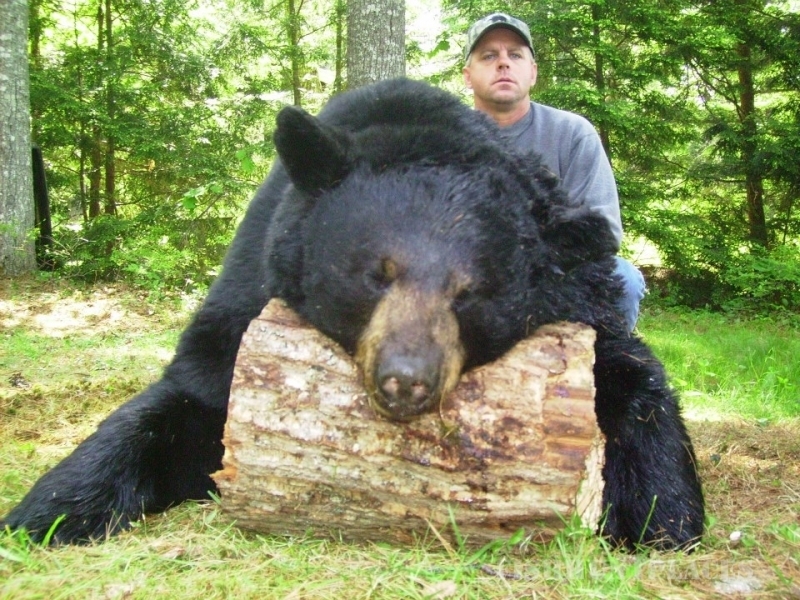 We have exclusive hunting rights to over 150,000 acres of prime bear habitat. Spreading out our hunters and their Kill areas has been the "The Secret to our Success" year after year!! 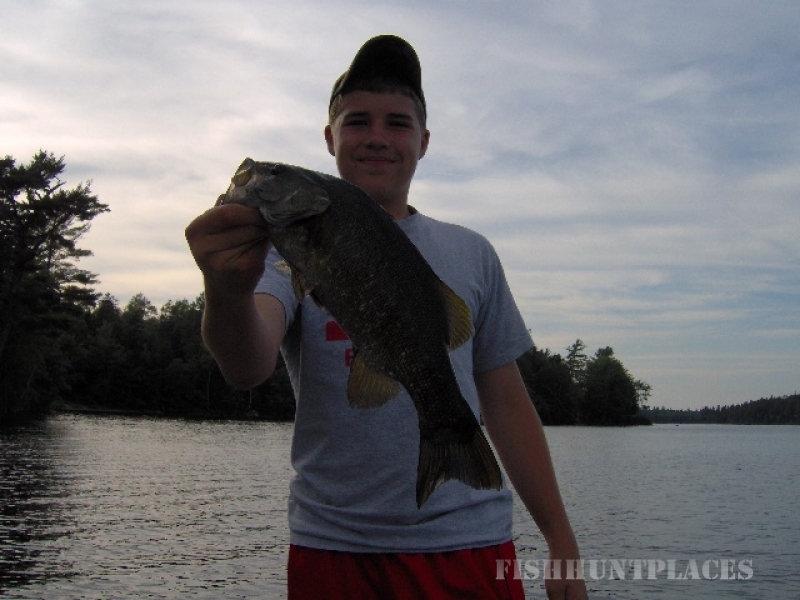 Small Mouth Bass Fishing- Down East Maine has some of the BEST bass fishing in the State! We offer guided fishing trips by the half or full day. Self guided fisherman are welcome to rent lodging as well. 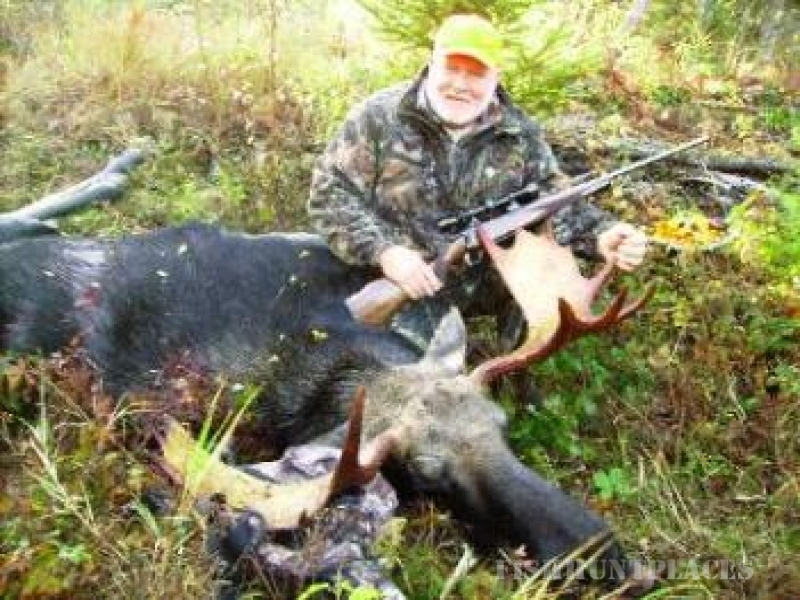 Many of our bear hunters take advantage of waking up every morning on the lake and being able to fish! Brook Trout Fishing- Whether you enjoy the spinning rod or the fly rod, we have great trout fishing available in local streams and rivers. Let us lead you to remote areas where the fishing pressure is low and the opportunity to catch native brook trout is high. We provide float tubes and bait as needed. Over night wilderness camping / fishing trips available for individuals or groups!